Aesthetically crafted, our range of Marble Lamps is known for excellent quality and is offered in different designs and unique patterns. These Lamps are appreciated by our clients for their innovative designs and easy maintenance. Our clients can avail these Lamps in various designs at the leading market prices. These are crafted from the most modern technology and high quality basic components. Further, the Lamps are very beautiful and compact in design. This stunning marble lamp features a round figure with graceful designs. 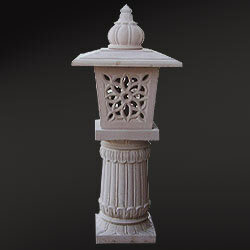 Perfect for displaying the finest artistry this elegant pink sandstone marble lamp help you sophisticatedly illuminate your facade entry or boost the ambience of a patio. The magnificent lamps here depict beautifully detailed aesthetic patterns. 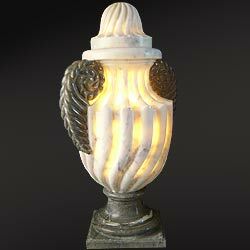 This is a gorgeous marble lamps with chiseling carved work adds a luxurious touch to your outdoor & household areas. Intricately designed on dholpur beige sandstone with contemporary patterns, the entire collection of lamps makes a great embellishment to compliment your luxurious surroundings. This gorgeous lamp is hand-carved out of white and grey marbles. A finely detailed piece and perfectly complimenting your exteriors, the fabulous range of lamps enlightens all your outdoor living spaces. Equally charming is the exquisite design of this lamp, which exhibits a lavish scene around its entire shape and is definitely a favored preference for its romantic, contemporary charm. This elegant lamp design brings a touch of sophistication and warmth to display the beauty of your . An outer square is decorated with black leaf vines, while interior has contrasting white marble and center floral circle. 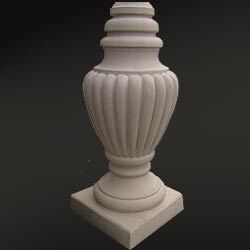 These beautiful designs of sandstone will make an excellent decoration in front entrance of your homes. 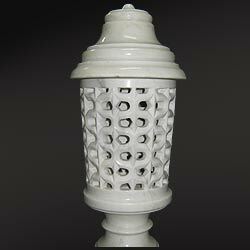 The magnificent lamp depicts a marvelously detailed net pattern within encircled figure. 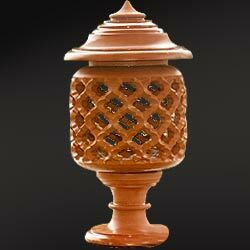 The lamp is carved from beautiful red sandstone marbles to give the piece definition and character. 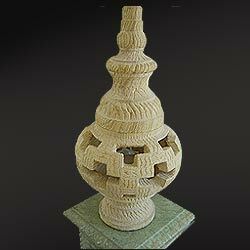 These sandstone lamps are decorative with vintage looks and remind the classical gothic architectural era. Our entire collection of lamps makes an elegant addition to your outdoor spaces. Cylindrical shaped marble lamp post lamp becomes magnificent decoration piece which add glamour to the exteriors in your home. A beautifully designed marble lamp is as per the contemporary market trends and enlightens your outdoor spaces gracefully. Featuring excellent finishing and attractive looks, these lamps are used for decoration purposes.